Making the pill and other hormonal birth control methods difficult to access denies women, and others with wombs, total control over our lives. Dear men, let’s imagine this story isn’t about the pill, its about beer. Imagine that every three months you have to pay to see a doctor to get their permission to drink it. Or, lets assume you don’t like it—for taste or health risk concerns. Whether you want to drink it or not, you’d be bothered that a person’s own judgment wasn’t enough. You’d be bothered by how hard it was to get. Welcome to our world, with one important difference: The pill ain’t for fun. While it isn’t for everyone, many people use the pill or other hormonal birth control methods to decide when or if they’ll have children, to prevent being in pain for one week in every four, to control when or if they’ll bleed, and more. The health risks of beer can be severe, and people are welcome to see a doctor if they are concerned. Likewise, the pill can also have side effects (most medicine does) and people can also see a doctor about that if they choose to. The strange thing is that people in most “first world” countries are obliged to see a doctor every three months to a year (depending on local regulations), for 35 years or so. Even if they stay on the same pill and have no new symptoms or concerns. Jen Billock Young told me she spent three years trying to get access to the pill. She said she felt “defeated” at every turn, after she had to wait a year and a half just to get a new patient exam, then was told she had to get a pap smear…and so it went on. Meanwhile, cigarettes, responsible for more than 480,000 deaths a year in the United States, are easy to buy. Caffeinated drinks taken in excess can cause palpitations, high blood pressure, vomiting, convulsions, and in a few cases death, according to the NHS. But they too are easy to get. Dietary supplements have accounted for over 8,000 people needing treatment in health care facilities. And then there are guns, available just by walking into a shop in many parts of the country. The point isn’t that things like beer should be regulated or prescribed, but rather that we should question why women aren’t trusted to make decisions about what is best for them, and consumers of beer or cigarettes are? After putting out a call, many women told me about the ordeals they have had to go through to get the pill. Billock Young told me she finally got her prescription six months ago. She had been on Wisconsin state insurance, and was required to see a gynecologist before she could get a prescription. The wait for that was 1.5 years. She then had to get a pap smear before they would prescribe the pill, and that took several months more. Emily Popek said she was “shocked and disappointed” to discover that her insurance company didn’t offer coverage for contraceptives. She said customers had to use a third-party company, and even then there were no providers offered within a 60-mile radius of her home. For me, there was that time a doctor drew a diagram to show me how the pill would decrease my fertility. I told her that wasn’t true, and even so I didn’t mind, but she persisted in discouraging me. Other doctors have told me it is bad to take it for a long time (also not true), and it’s gotten to the point where I lie to doctors in order to avoid the lectures and the small bits of trauma that come with constantly having to justify my private choices to strangers. Others told me their stories anonymously through Reddit. One woman described how an “old white doctor” berated her when she was 18, implying she was “young, frivolous, and rash with boys,” and would regret her decisions. He refused to prescribe her the pill, claiming it caused breast cancer. Another woman also had an “old white man” doctor who refused to write a pill prescription for her, saying young people forget to take the pill. She said she was already taking other daily medications. There were more stories of all the irrelevant and judgmental questions doctors asked—most commonly, the number of previous sexual partners. But doctors rarely ask the few questions that could be useful, about side effects. Even then, the main concern—blood clotting—has a risk of 12 in 10,000. The risk is the same for pregnant women, but we don’t need permission for that (and shouldn’t, of course). For our beer (alcohol) drinking friends, the odds are higher of getting cancer. A male who drinks two pints of lager a day doubles his risk of esophageal cancer from one in 75 to one in 38. A 2013 U.S. study found that 30% of women who weren’t on the pill would take it if it were available over the counter (and it was still affordable). Making the pill and other hormonal birth control methods difficult to access denies women, and others with wombs, total control over our lives. It perpetuates inequality, with those who work multiple jobs or who are poorer finding it harder to overcome the time, financial, and psychological obstacles. Birth control impacts people’s access to education, to work, and to leisure time. A 2013 Guttmacher Institute review of 66 studies found that reliable contraception helps people be better parents. That is, parent(s) who experience unplanned childbirth are more likely to have depression and anxiety. Reliable contraception on the other hand, allows parent(s) to grow as people and have children when they are more prepared and their incomes are higher. 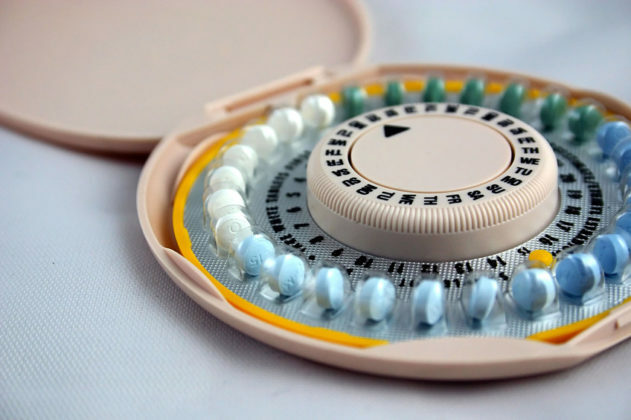 There have been small improvements in access to hormonal birth control. Next year, for example, people in California will be able to pick up one year’s worth of pills at a time. Apps are becoming available for virtual consultations, but the video chats still cost money, the apps are limited to a few states, and in order to receive more than a three-month supply, the patient needs to have recent blood pressure results ready to show during the consultation. Still, these changes don’t involve more respect for women’s decision-making. Beer is still easier. Tamara Pearson is a long-time Latin America based journalist and activist, and author of The Butterfly Prison.